After a night of reshuffling the Government has today appointed Margot James MP to be its new Minister of State for Digital. Meanwhile the role’s previous occupant, Matt Hancock, has replaced Karen Bradley as the Secretary of State for the Department of Digital, Culture, Media and Sport. Opinions will vary but Matt did a fair job in his position as Digital Minister, even if it was only a fleeting appointment (he took up the role on 16th July 2016) and largely continued the direction that had previously been paved by Ed Vaizey MP before him. 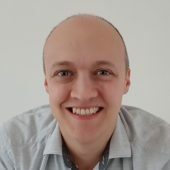 However Matt did put a lot of effort towards pushing more focus and investment towards fostering future 5G Mobile services, as well as “full fibre” (FTTP/H) based broadband and alternative network providers (here), which should help to boost network level competition vs the established operators of Openreach and Virgin Media etc. Prior to his departure Matt was also trying to finalise the design for the Government’s 10Mbps Universal Service Obligation (USO) for broadband, which remains an on-going task following last year’s criticism of BT’s now rejected voluntary proposal and related competition concerns (here). On the other hand many will rightly feel as if the UK Government could be doing a lot more to further improve national broadband and mobile connectivity. Naturally a change of post is always an opportunity for somebody else to put their own stamp on things by driving more positive change, although views on how that can be achieved will always differ. 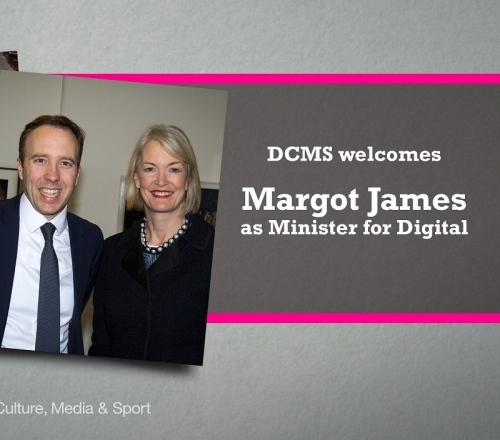 In that sense we now have a new Digital Minister in the shape of Margot James MP. We don’t know much about the MP for Stourbridge, except that she’s generally been loyal to the Conservative Party line, was a pro-remain voter in the Brexit referendum and has held a number of Government positions (mostly related to health or business). In terms of education, she has a background in economics and was previously the Parliamentary Under Secretary of State at the Department for Business. Margot doesn’t appear to have much history in the realm of broadband and telecoms connectivity (here), which could make getting up to speed with current developments a little more challenging. At this stage it’s unclear whether the new woman in town will be given much flexibility to do anything significantly different from her predecessor and we suspect that the most likely outcome could be a continuation of the existing approach. However if Margot feels like a challenge then she could perhaps set a target for delivering 100% coverage of 30Mbps+ superfast broadband, much like most of the EU has had for 7-8 years (target wise). On top of that she might try nudging Ofcom to deliver greater flexibility in its regulation, not least so that older copper networks can be retired and replaced with ultrafast FTTP/H. Time will tell. How will that make any difference to the miserable UK broadband situation? given how the reshuffle failed, l doubt much will change. half her cabinet refused to move, just showed how weak May really is, still not looking forward to all the new unworkable ideas to come from the new minister in charge. Surely the UK should set its sights on a National Gigabit FTTP broadband network? What is tge point of the nation continuing to waste millikns of taxpayers money on a 10 Mbps or 30 Mbps universal offer. Britain needs a Gigabit fibre network for business competitiveness (Brexit or no Brexit) and education, home working etc etc. let’s just separate the needs of business from consumer for a moment – many businesses need a more specialised and guaranteed product. But accepting that the ultimate goal is fibre to the point of consumption there is a wide agreement that it would be a “Good Thing”, where it all comes unstuck is who is going to pay for it initially, and how are they supposed to either get their money back (in the case of private companies) or show it was worthwhile (in the case of a government, presumably free from EU State Aid regulations). @David. Semi-agree but it’s not a case of doing one or the other, ideally (money allowing) you want to do both. The reason for this is because rolling out Gigabit fibre at a universal level could take a couple of decades and many billions of pounds, meanwhile you don’t want to leave the have-nots or slow-spots stuck on sub-10Mbps DSL as they won’t stand any chance of keeping pace. I fully agree that the country does need a clear strategy though, complete with clear funding and ideally some viable targets to help focus minds. But as usual delivering all of this is always much more complicated under the hood, not least in terms of disputes over regulation / competition and funding. At present the Government are focused more on fostering Gigabit fibre networks in the commercial market, as opposed to replicating the BDUK approach (makes sense since the FTTP/H rollout is only now beginning to take off, so no need to rush into a BDUK mould). But at some point a clear path does need to be set and a more pro-active Government could help. As ever the other challenge is with getting Government’s to adopt a vision beyond their usual parliamentary terms. @Gadget: Chatting to some1 running a BDUK scheme over the Xmas period they said EU state aid added 6 months delay and tripped the administrative burden/costs. I’m not sure if that reflected a real assessment or perhaps it just felt like that to those involved. Would a ‘National Gigabit FTTP broadband network’ replace or overbuild the existing VM network? @TheFacts: You tell us. You were all for a government funded nationwide fibre rollout. Though back in the real world I can tell you it’s not going to happen anytime soon, if at all. @GN – to confirm, yet again, to you. I have never been in favour, just listed as one of many options.